By Jermie Chadwick, CEO	| Aug 31, 2017	| Comments Off on What Should You Do if Your Loved-One Experiences an Exercise Injury? By Jermie Chadwick, CEO	| Aug 25, 2017	| Comments Off on Why Is Dental Care Sometimes More Difficult for Your Elderly Loved-One? By Jermie Chadwick, CEO	| Aug 16, 2017	| Comments Off on Are Your Relationships with Friends Suffering Because You’re a Caregiver? 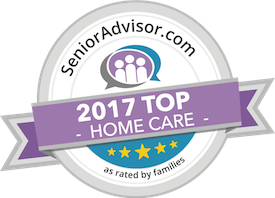 By Jermie Chadwick, CEO	| Aug 9, 2017	| Comments Off on Are You Prepared to Care for a Senior Going Through Cancer? By Jermie Chadwick, CEO	| Jun 28, 2017	| Comments Off on What Can You Do if You’re Juggling Too Many Responsibilities as a Caregiver?